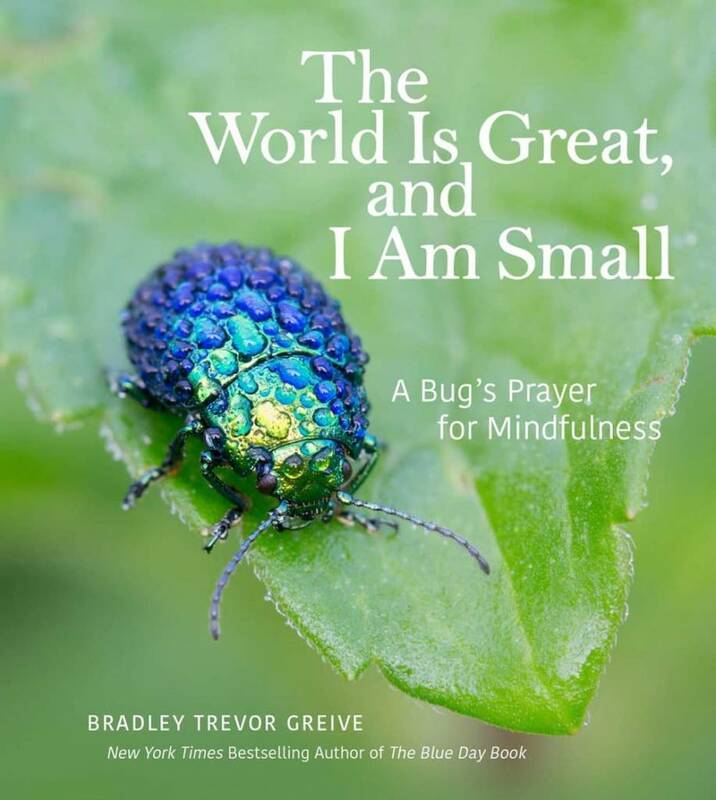 Since the debut of his best seller The Blue Day Book, Bradley Trevor Greive has become an international publishing sensation. 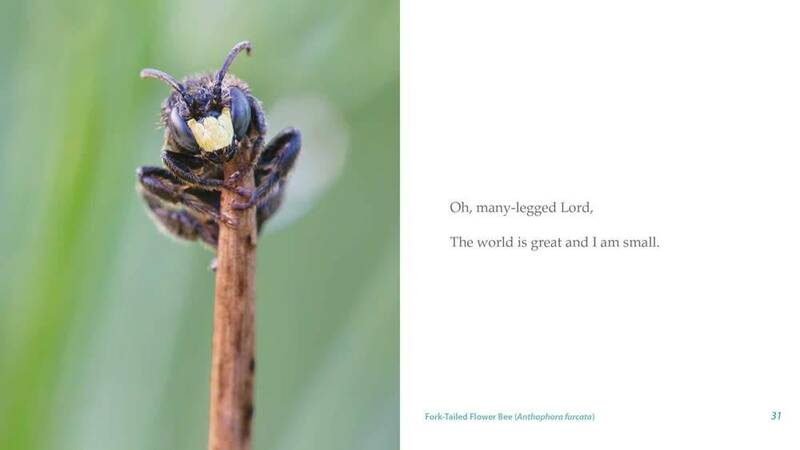 The World Is Great, and I Am Small is his newest keepsake gift book, a prayerful meditation that inspires us to feel blessed for the life we have, content in the world around us, and hopeful for the health and well being of our friends and families. This inspirational prayer is illustrated with stunning photographs of some of the world's most beautiful and unique creatures. 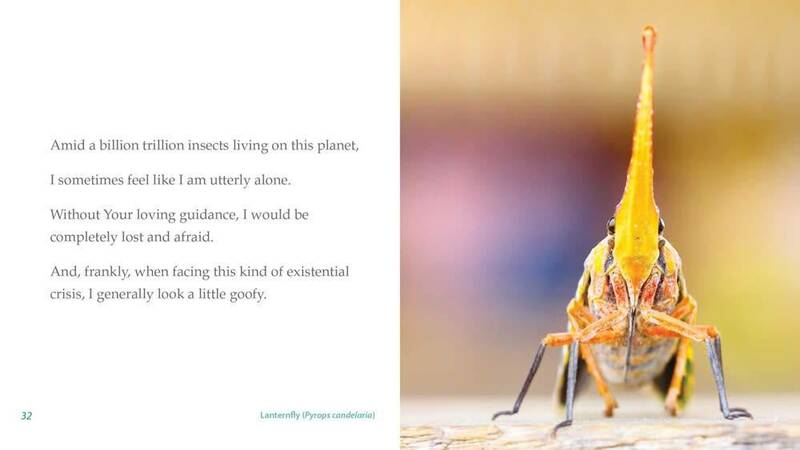 The World Is Great, and I Am Small: A Bug’s Prayer is a thoughtful and uplifting reflection on modern life and the human condition, as well as a lighthearted celebration of some of the many truly amazing insects with whom we share our planet (and without whom human existence would cease, almost immediately). In the form of a poem, this meditation is a charming ode to all those that creep, crawl, and fly. Accompanying the poem are stunning photographs of some of the world’s most beautiful and unique creatures. At the back of the book, an image key explains the various insects adorning the pages of this prayerful keepsake.